“We had a wonderful experience with Jamie, he is informative, professional, honest and was a pleasure to work with. We can not thank him enough for all his help selling our previous home and buying our current one. Jamie was always quick to get back to us and was always there for us when we needed him. 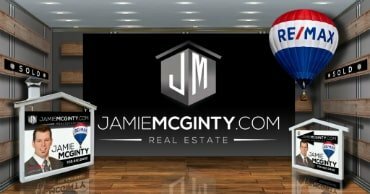 “We selected Jamie as our realtor as he came very highly recommended by a friend. That turned out to be one of the best decisions we could have made. Jamie attended our residence and took us step by step through the entire process of selling our house. We received many many excellent compliments on the photos and video they had taken to advertise the property. We were also extremely impressed with the professionalism and knowledge always shown by Jamie during our numerous encounters. Jamie was also our realtor for the purchase of our new residence. We gave him the criteria and general location for the new residence we were looking for and he was very very helpful in assisting us to make our final selection. I would describe him as always professional and very knowledgeable of the real estate market. He was always honest and forthcoming when giving us his opinion of the pros and cons of any residence we looked at. Although selling our house and buying another is very stressful Jamie always made us feel very comfortable in our decisions.